We are a small general practice firm dedicated to providing high-quality, personal legal services to the citizens of Sylva, North Carolina, and surrounding counties. Legal issues can be stressful and intimidating to navigate. We provide a comfortable atmosphere while finding a resolution, and we always call our clients back. Our clients come to us because they need someone they can trust to be knowledgeable, understanding, and accessible. We know that in these tough economic times our clients keep a close eye on their pocketbooks, so we maintain reasonable fees to ease the stress of finances on top of your legal matter. Please make an appointment with us for all your legal needs. We do everything possible to create an atmosphere of complete comfort for you when you visit our office. When you have needs of a legal nature, we listen to your every word. Our more than five years as a law firm paired with many more years of legal experience assist us in our top priority: finding a legal and ethical solution to your issue. This website has been developed to provide general information about our firm. This site is not intended to provide readers with legal advice and should not be relied upon as legal advice in any matter. 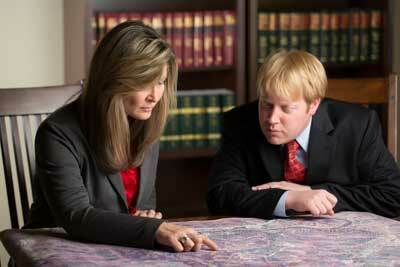 E-mail addresses on this website to our firm and its attorneys are provided as a convenience. Clients and other persons communicating with us over the Internet are cautioned that such transmissions could be misdirected or intercepted. Please exercise great care, with recognition of the risks of misdirection or interception, in sending us any sensitive or confidential information via the Internet. Nothing on this website should be interpreted as creating an attorney-client relationship, nor does this website protect any confidential information until a written agreement is signed.